Chief Caleen Sisk is issued citations today. 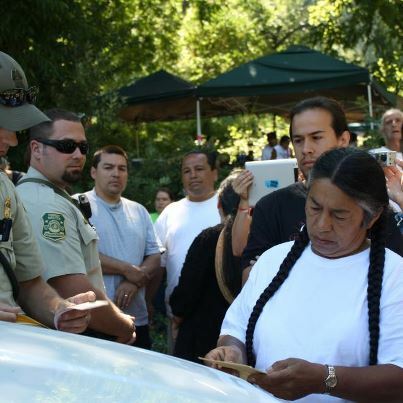 "After our lawyer had left this morning, the Forest Service came into the campground and wrote Chief Caleen Sisk two citations: One for violating the special use permit and for using the motorized boat to take elders across the river. "The officer couldn't tell her why she had violated the permit." 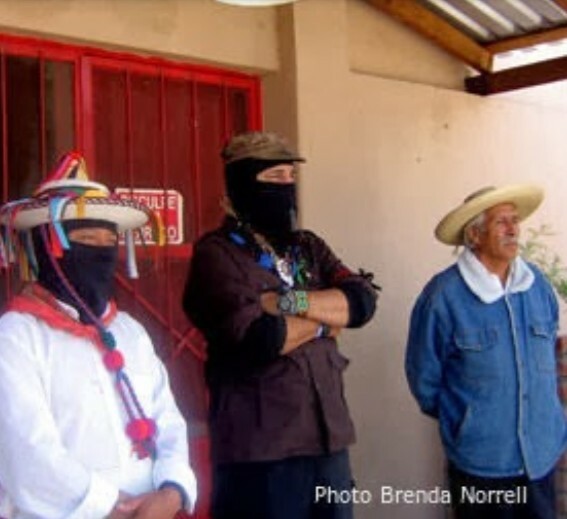 "Respect the Winnemem's right to ceremony!" Not surprising at all that they waited until attorney Lauren Regan and some security personnel had left to descend on our encampment and issue the citations. What was the second one for? One motorized boat was supposed to be a part of the original permit. What is the name of the USFS "official" who issued the citation and where is his office? If they want to draw this out, I am willing to keep forging solidarity and fight this. These officers must not have heard how this land was stolen from the People in the first place. Without a permit, I'm quite sure. I have heard too many times the last couple years of the total abuse of power from our public servents in the USFS...we must stop this abusive tyranny. This type of ceremony shoud never require a permit....we must not sit still for this any longer. Please do not sit still...calll your senators etc now!! !